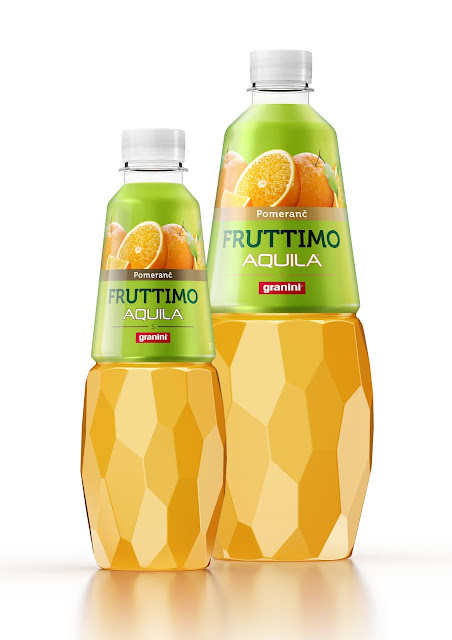 The product is a mix of GRANINI’s juices and a water Aquila. 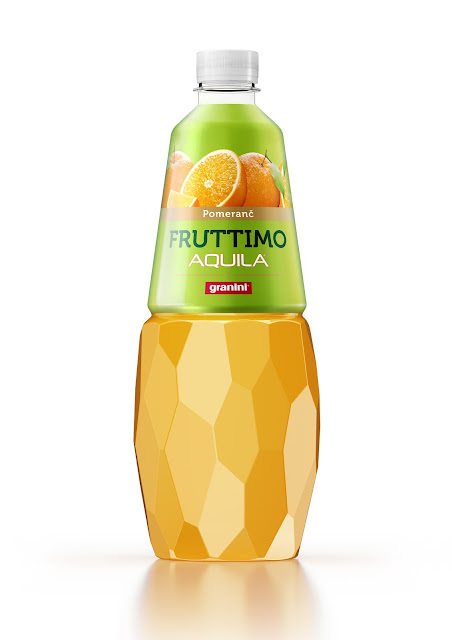 Aquila is a famous Czech water company which belongs to the group KMV with MATTONI water. The main transparent part with facets symbolizes cut fruits while the top label cone is covered with sleeve foil. 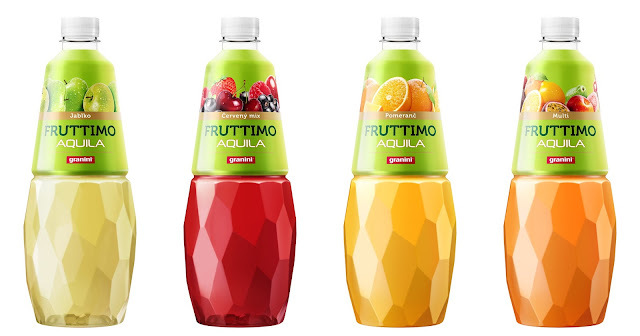 Comes in 2 different volumes (1l and a half liter) and 4 exciting flavors (orange, multi fruits, red mix fruit and apple), it was launched in June 2015.